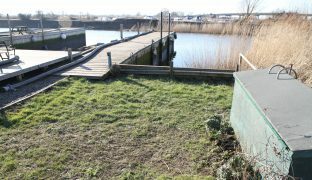 A substantial private and secure freehold mooring plot set directly onto the River Waveney with a mooring dock measuring 60'6" x 13'6", water and off road parking for two cars. 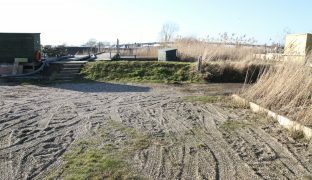 Total plot measures approx 130ft x 18ft. 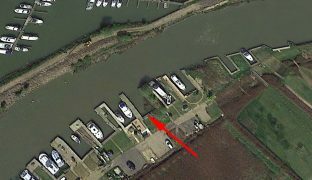 Mooring dock measuring 60'6" x 13'6"
A substantial freehold mooring plot set directly onto the River Waveney with a mooring dock measuring 60’6″ x 13’6″ and off road parking for two cars. 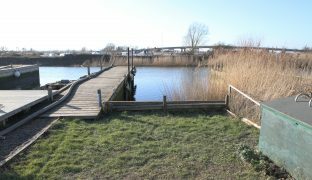 A private and secure mooring set within Riverside Park, accessed via locked security gates. 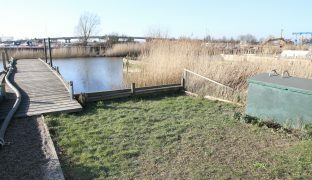 Located in the unspoilt riverside village of St Olaves, the ideal base from which to explore the entire Norfolk Broads network with access out to sea via both Great Yarmouth and Lowestoft. 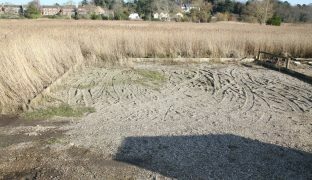 The total plot measures approximately 130ft x 18ft. 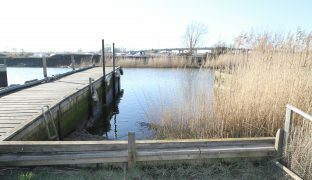 The plot benefits from mains water, the jetty and quay heading were replaced in 2013 and most of the mooring area was dredged in 2019. £20 per annum charge for water.